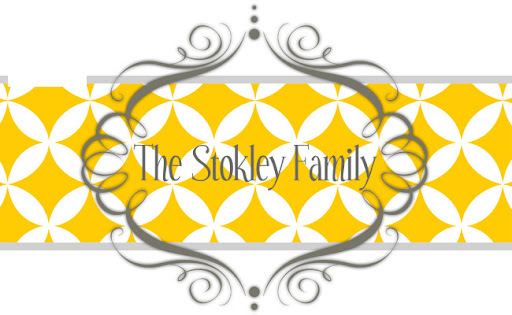 The Stokley Family: Roll Tide Roll!!! All I can say is OH MY WORD!! I've been about to go crazy for the past 4 hours! I'm happy to say that Alabama won the National Championship!!! It was a great game and it's so awesome that we won!! We watched the first half of the game at some friends house and then left to come home at half time so the kids could get in bed. Ryan had his wisdom teeth pulled this morning and look at him!! He is completely fine...if I were him I would at least act like I felt bad so I could milk it! At least for a day! Ryleigh had dance so I had to leave their house for a few minutes to go pick her up. Our friend Deanne. Tanner had never met her and instantly fell in love with her! We had a great night and I'm so proud of our football team! As far as my new job goes...so far so good. I've actually just been in an office all week doing computer classes. Tomorrow will be my first day in a branch and I have to go to Tillman's Corner...I'm not looking forward to that! Next week I'll be at the hillcrest office all week which will be great. The manager there is a friend of mine from compass. Then the next 2 weeks I'll be in Birmingham. I'm looking forward to that right now but I know by the 2nd week I'll be ready to come home.